Danse de la vie brève (parution janvier 2016) est son premier roman. 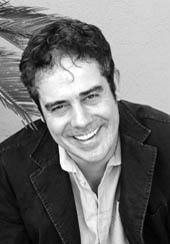 Born in Belgium in 1971, Hubert Antoine lives in Mexico, near Guadalajara. Editions Le Cormier has published several of his books of poetry, and Editions Verticales has published a collection of his prose, Introduction à tout autre chose (2006). His Comment je ne suis pas devenu poète was published by Editions La Lettre volée in 2014. Danse de la vie brève is his first novel.